Most of the plate varieties shown below are listed by both Akagi and Zirkle. 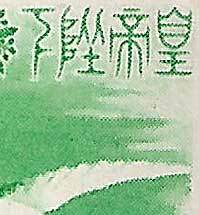 Zirkle seems to have been a little sceptical about some of Akagi's reported varieties however his work is shown here to be sound, with the exception of a number error (see below). Schumann also lists a small number of these varieties. Working with Travis Searls, who supplied the scans of these two sheets, I have added an additional variety (d), if you think you have a new variety you can check to see if it is consistent by using the sheets shown below. a. White Cloud Variety - A white spot appears below the legs of the crane. 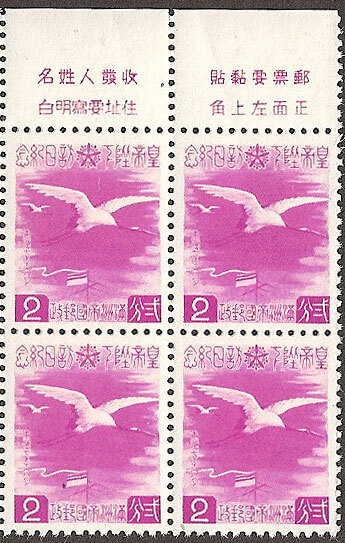 This occurs only on the 16th stamp on each sheet. Mentioned by Akagi and Zirkle. 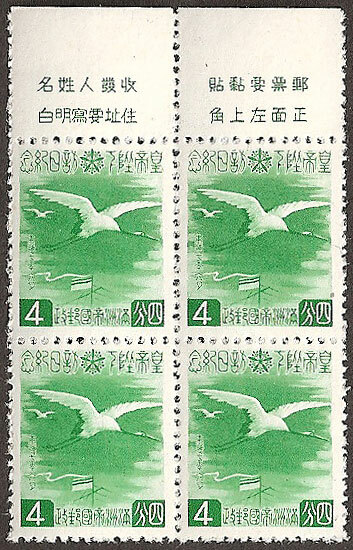 a. Colour Spot Variety - A spot of darker green appears above the wing of the crane. 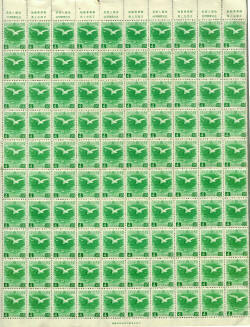 This occurs only on the 98th stamp on each sheet. Mentioned by Akagi and Zirkle. b. Bridged Fen Variety - The lower diagonal stroke of the fen character is extended. 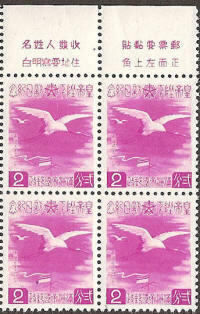 This occurs only on the 13th stamp on each sheet. Mentioned by Akagi and Zirkle. b. White Streaked Flag Variety - A streak appears on the top of the flag near the flagpole. 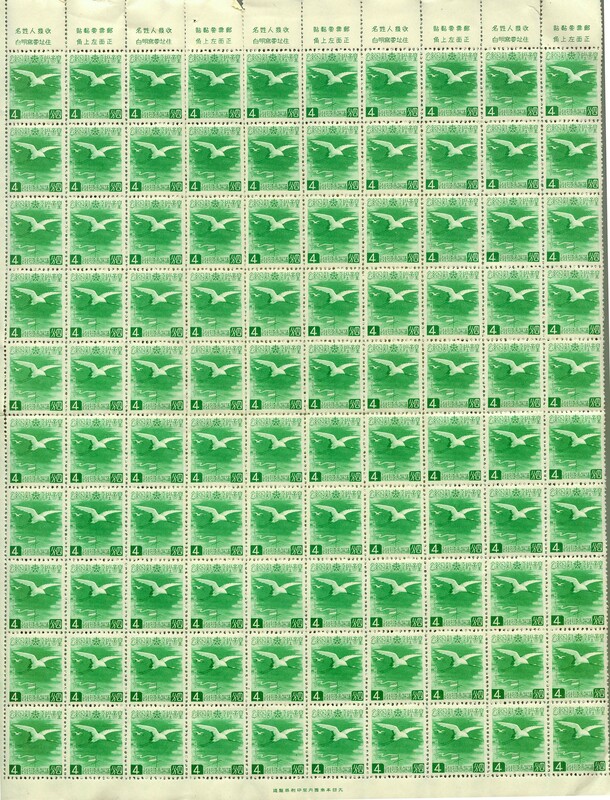 This occurs only on the 37th stamp on each sheet. Mentioned by Akagi and Zirkle. 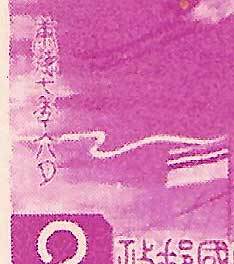 (Shown by Akagi as 36th stamp, probably in error). c. Dotted Mast Variety - Two small dots appear on the horizontal bar just below the flag. 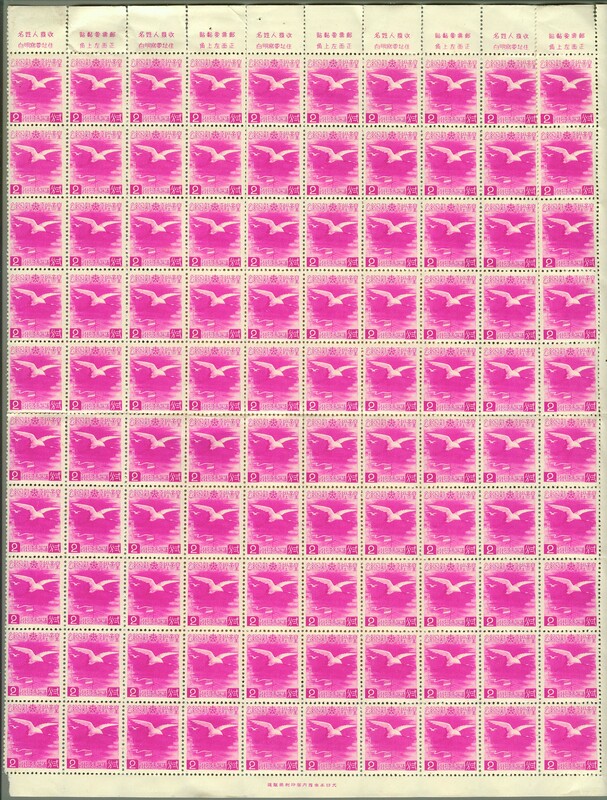 This occurs only on the 88th stamp on each sheet. Mentioned by Akagi and Zirkle. c. Spot Under Crane Variety - A small white streak appears below the large crane. 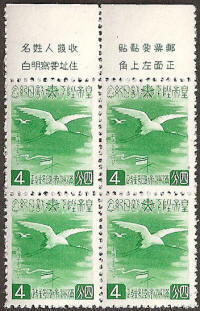 This occurs only on the 27th stamp on each sheet. 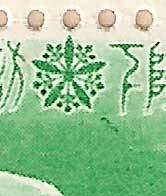 (Shown by Akagi as 26th stamp, probably in error). below the crest on the right hand side. Not shown by Akagi or Zirkle but appears to be constant. 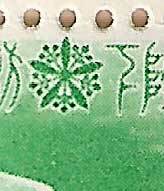 This occurs only on the first stamp on each sheet. 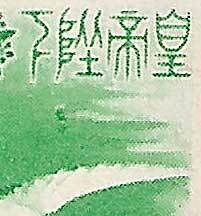 e. Spotted "Chou" Variety - A very small spot appears above the "Chou" character. Shown by Akagi but not listed by Zirkle it appears to be constant. 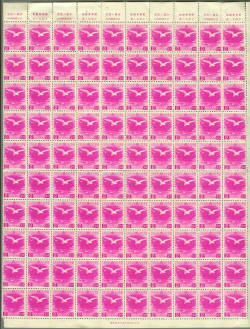 This occurs only on the 33rd stamp on each sheet. Both sheets are scanned at 300dpi, file size 2Mb each.